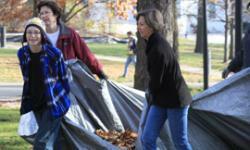 Looking for other ways to volunteer? Visit our Signups/Forms page or learn more about our Mission opportunities. 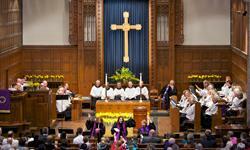 Welcome to First Presbyterian Church of Ann Arbor! If you are new to us we invite you to visit and explore our many programs and service opportunities. All are welcome here. If you are visiting us for the first time you may be wondering about many details - what a service is like, where do I park, what should I wear, directions, etc. We hope we can help answer any questions you may have here (click the links below for specifics). If you have any additional questions, please feel free to call the Church Office at 734-662-4466 or contact us online here. Parking - Parking information for the church and information on a free (on Sundays) place to park near by. Our Building - View a map of the church building (including some fun trivia), and learn more about our library. To learn more about our life together and what's it like to visit First Pres , please read our Visitor Information Sheet.